One of the latest solutions offered by La Poste is "Enjoy at Home", a meal home-delivery service which is also a good opportunity for some human interaction and warmth. We focus on this service to the east of the Greater Paris region, in Charenton-le-Pont (Val-de-Marne). Louenas Yakoubi works as a postman at the Chevilly Larue mail preparation and delivery centre. 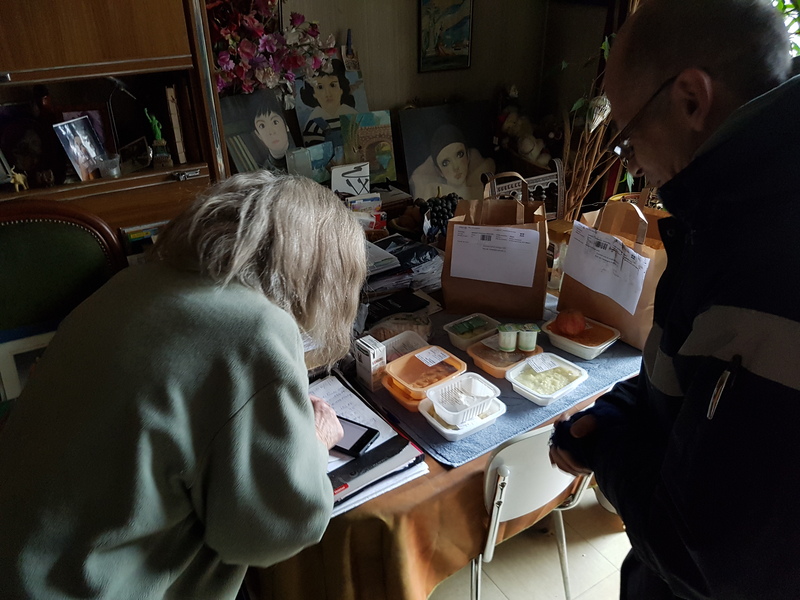 He delivers meals to elderly people in Charenton-le-Pont (Val-de-Marne) who have submitted a request to the town hall, which has concluded an agreement with La Poste. One in five seniors do not have an opportunity to talk to anyone during the day and one in three feels isolated*. By developing local services, La Poste aims to restore and consolidate social bonds, particularly with seniors. One of the latest solutions to be offered is "Enjoy at Home” (Savourer chez Vous), a meal home-delivery service and a good opportunity for some human interaction and warmth. And that's not all, on their birthday, the basket is filled with a small bottle of wine, biscuits or fruit jellies. “Louenas is always very kind and attentive. He's my smile of the day! ” says a loyal customer. “He is doing me a big favour as I’m leaving hospital with my arm out of action for three weeks,” explains another customer. What emerges above all from these visits is the loneliness of these people, whether they are a former homeless person, a person with a compulsive behavioural disorder or a manager on long-term sickness leave. After this morning spent with his customers, Louenas feels proud to be an employee. A feeling which is increased by being useful to society on a regular basis and in close contact with residents.